Since the age of 14, Michael Webermann, Executive Director of Farm Animal Rights Movement has been making a difference for animals. We met at the NAVS Vegetarian Summerfest in 2012, and I quickly recognized Michael as an incredibly motivated human being. 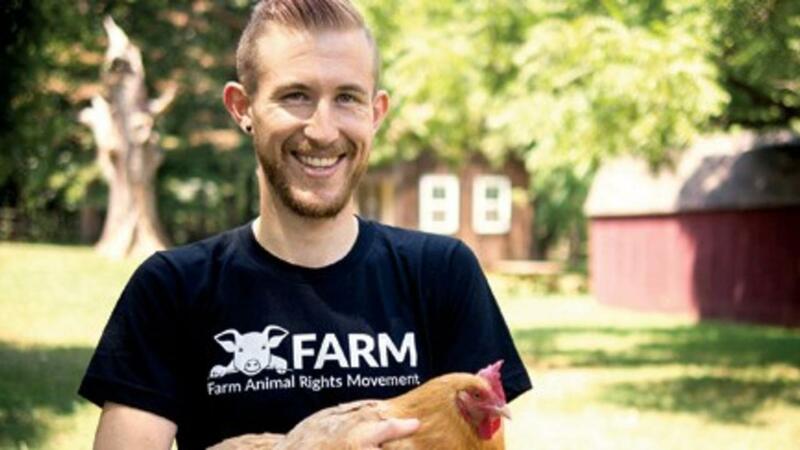 Now, as the leader of FARM, he oversees the organization's public education and grassroots activism, such as their 10 Billion Lives tour, World Day for Farmed Animals, Great American Meatout, Meatout Mondays, and Live Vegan website. FARM is also the organizer behind the popular Animal Rights Conference, held every year to bring animal activists together to discuss strategies and "recharge their batteries." Allison Rivers Samson: When did you first start speaking out for animals? Michael Webermann: Like almost everyone, I loved animals from a very young age. I grew up with cats and dogs, and was particularly bonded to my dog Ruffy. However, I didn't start seeing myself as an animal advocate until I stopped eating them! When I was 14, my French teacher taught us the names of farmed animals, as well as how to say their cuts of meat and their "animal sounds" in French. It wasn't until then that I really thought of my pork, poultry, and beef as euphemisms for the flesh of animals. I went vegetarian almost overnight and vegan three years later when I learned about the diary and egg industries. ARS: How long has FARM been advocating for farmed animals, and what does the organization hope to accomplish in 2014? MW: FARM began our first incarnation in 1976, formalized our animal rights mission statement in 1981, and officially rebranded ourselves as "Farm Animal Rights Movement" in 2006. 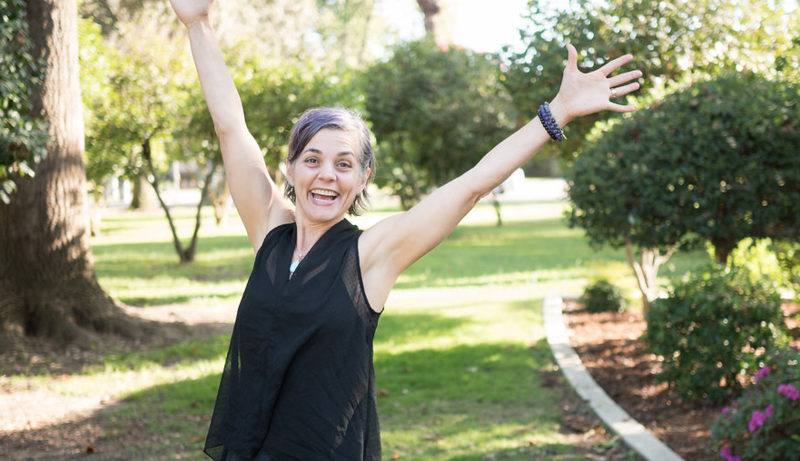 In 2014, we will be expanding the ways that we reach young people by offering new online incentives and increasing our classroom presentations; we will offer more helpful and engaging vegan resources than ever before; and we will boost our grassroots support with our first-ever Innovative Activism Award and our enhanced Compassionate Activist Network website (coming soon!). ARS: Sounds fabulous! Your 10 Billion Lives tour is undoubtedly changing the lives of thousands of people across the US . Could you explain to our readers what that is? MW: Of course! The 10 Billion Lives program offers incentives to people to watch a complete 4-minute video on animal agriculture and take a pledge to reduce or eliminate their animal consumption. The most prominent way we do this is by traveling to rock concerts, pride festivals, and college campuses paying each viewer $1. We also have a similar online program which gives 1-in-25 chances of winning prizes such as iTunes albums and movie tickets when they watch the whole video online. The vast majority of our viewers pledge to try veganism at least one day per week, and our surveying and calculations reveal that over 50% of viewers have reduced animal consumption one year later, sparing an average of 16 animals per viewer per year! Learn more at www.10BillionTour.org. ARS: Love that! Tell us a little about the Animal Rights National Conference you organize every year. MW: The AR Conference began in 1981 and has continued (with a couple of breaks) since then to bring our movement together. We advance the vision that animals have the right to live free from all forms of human exploitation, and a key mission of our Conference is to provide a forum where the relative merits of various paths, missions, strategies, and tactics leading to animal liberation may be aired and discussed in an atmosphere of mutual respect. We view such discussion as critical to finding our own optimal way to advance the vision of animal rights. ARS: On a personal note, you recently got married! Congratulations! Do you have any advice for others planning a vegan wedding? MW: I did! Fortunately, we both have very supportive families who helped us with costs (though ours was not a hugely expensive affair) without asking that we compromise our values, so my advice might not be relevant to those who *struggle more* with their families, haha. We were able to have all vegan food, vegan fashion, and even got our friend and hero Dr. Melanie Joy (author of Why We Love Dogs, Eat Pigs, and Wear Cows) to officiate our ceremony!